Join me this week in celebration of the release of The Quilted Heart! Today, I am sharing my thoughts and offering one copy of The Quilted Heart to be given away. Wednesday, I will feature an author interview with Mona Hodgson, as well as details on how to enter her three book giveaway. Friday, I will share a character interview with Elsa Brantenburg, as well as more giveaway opportunities! The Quilted Heart releases tomorrow, January 21. You can order your copy from Amazon, other online retailers, or your favorite bookstore. Like a beautiful patchwork quilt, the three novellas in The Quilted Heart tell stories of lives stitched together with love and God’s unending grace. Once a week, Elsa Brantenberg hosts the Saint Charles Quilting Circle at her farmhouse on the outskirts of the riverside town of St. Charles, Missouri. The ladies who gather there have all experienced heartache related to the intense hardships of the Civil War, and together, they are facing their painful circumstances with friendship and prayer. Can the tattered pieces of their hearts be stitched together by God’s grace? When Maren Jensen took a job on Elsa Brantenberg’s St. Charles, Missouri farm, she never expected to call the place her home. As she grows to love Mrs. Brantenberg and her granddaughter, Gabi, Maren is transformed from a lonely mail-order bride-without-a-groom to a beloved member of the Brantenberg household. But when Gabi’s father, Rutherford “Wooly” Wainwright, returns to the farm unexpectedly, everything changes for Maren, and she feels compelled to find another job. Are her choices in obedience to God, or is she running from His plan? Dedicated to her education and to helping her father in his general store, Emilie Heinrich is convinced she doesn’t have time for love. But when a childhood friend returns to St. Charles, Missouri, after serving in the Civil War, his smile and charm captures Emilie’s eye and her heart. Will she be forced to choose between honoring her father and a future with a husband and family of her own? Change is brewing in St. Charles. A group of brave souls are preparing to head west on the Boone’s Lick Wagon Train, led by the mysterious and handsome Garrett Cowlishaw, who served as a Confederate soldier in the war that killed Caroline’s husband. Despite her dislike for him, Caroline is tempted to join the wagon train and start fresh somewhere new, but when Mr. Cowlishaw forbids her—a single woman—to travel with them, will one man’s prejudice destroy Caroline’s hope for a new future? Or will the ripples of God’s love bring the answer she needs? The Quilted Heart novellas are bursting with details and descriptions, adding richness and depth to their engaging storylines. I clearly envisioned Saint Charles, Missouri, its residents and its businesses. I delighted in learning of the goods bought and sold, foods prepared, and quilts made with loving hands. The Quilted Heart is a book that I love having on my shelf and is one I will read and enjoy again and again! It is also a book that I want to share, so I have ordered one copy to give away. Please see the giveaway details below and enter to win! 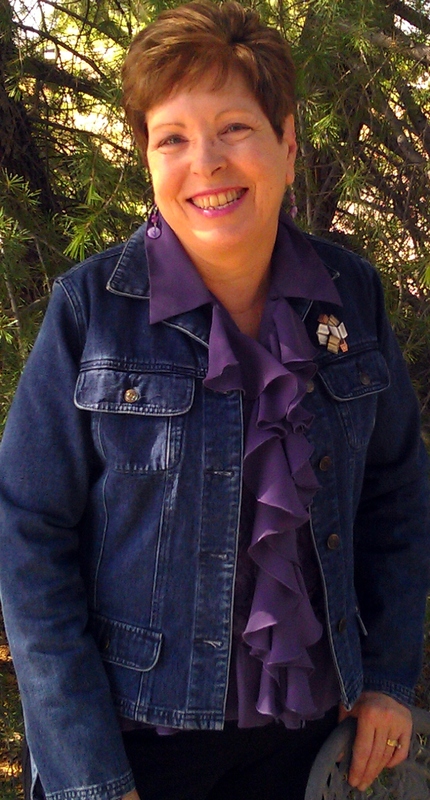 Mona Hodgson is the author of nearly 40 books, historical novels for adults and children’s books, including her popular Sinclair Sisters of Cripple Creek Series, The Quilted Heart novellas, and Prairie Song, Book 1 in her Hearts Seeking Home Series. Her children’s books include bestseller, Bedtime in the Southwest, six desert and princess Zonderkidz I Can Read books, Real Girls of the Bible: A 31-Day Devotional, and her six I Wonder books. Mona’s writing credits also include several hundred articles, poems and short stories, which have appeared in 50 different publications. Mona is a speaker for women’s groups, Christian women’s retreats, book clubs and reading groups, schools, and conferences for writers and librarians. 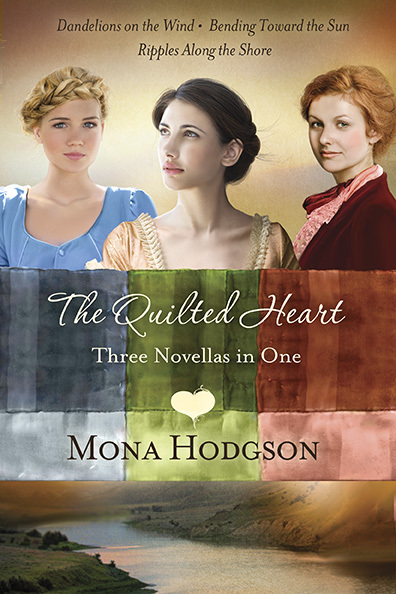 I am excited to be giving away one copy of The Quilted Heart by Mona Hodgson. This giveaway is open to U.S. residents only and ends Saturday, January 25 at midnight CST. The winner will be drawn and contacted January 26. Good luck!! I was blessed to receive a complimentary copy of this book from the author in exchange for an honest review, which I have given.